Woww..got another award..This award was shared by Hema of Hems kitchen ,and Thanks Hema for remembering me and passing this award..This is the second award. I have to pick only 15 bloggers thats why i short listed though i want to pass it to many more.. 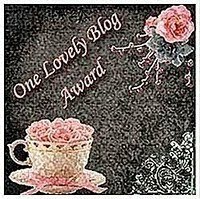 Accept this award.Post it in your blog with the name of the blogger who has given you this award..with a link to her blog. Pass it on to 15 blogger friends,to keep the ball rolling. Let the nominated blogger know about their award. (leave a commentt in their most recent post)..
congrats on your awards, wishing many more to come. Hi Kanthi congrats on ur well deserved awards.just keep rocking and keep posting many more new dishes.Thanks for sharing the award with me,it means a lot to me. Congrats on the well deserved award Kanthi and thank you so much for remembering me and sharing with me:) SO sweet of you! Thank you all,my friends for your lovely reciprocation..